Want surreal? Imagine sitting in the back room of an NYC piano bar with about 50 other people listening to 8 time Oscar winner Alan Menken be candidly interviewed about his career. This was my Thursday night last week at Don’t Tell Mama as part of Seth Rudetsky’s Broadway Chatterbox. As all good interviews are, this one was both humorous and informative. It goes without saying that it was inspiring! By the way, I need to attend more of these events. Mr. Rudetsky is an informed, witty and highly entertaining host. Interesting parts of the interview included Mr. Menken not being able to remember right away what show he first saw on Broadway. As he went on to explain, Broadway was “what his parents enjoyed to see,” and it wasn’t his medium of choice early on. He wanted to perform and release his own albums. Once he met Howard Ashman, everything would change. Little Shop of Horrors was an Off-Broadway hit and his incredible success with Disney was soon to follow. All eight of Mr. Menken’s Oscars came from animated Disney movies. The interesting thing about this is that the only person to have won more Oscars than Mr. Menken is Walt Disney himself. 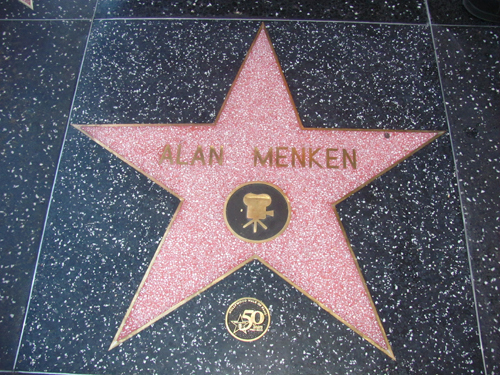 With Mr. Menken about to have 3 shows running simultaneously on Broadway, his career is hotter than ever. Joining Sister Act on the Great White Way will be Newsies and then Leap of Faith. He’s also providing instrumental scores for Hollywood movies, including the upcoming Mirror Mirror, a reinvention of the classic Snow White story, staring Julia Roberts. Image provided by Loren Javier through the Creative Commons License.